In the 1950’s The Bahamas was indeed a different place. It was a time of tranquility, with less crime, more neighborly concern and simple living. Yet in the background, subtle differences were festering to a point that threatened the very way of life in the bustling metropolis. Minority rule was the order of the day. There were barriers in just about every area of social strata. Movie theaters and clubs were segregated. Positions in banking, law and the other professions were limited to a miniscule number. Salaries and wages were different for persons performing the same jobs. However, in the field of education, change was beginning to blow and a soft gentle breeze was felt in December 1956, when five Dominican Sisters arrived in Nassau. These nuns would prove to be pioneers in business education at Aquinas College. They were Sister Jean Patricia McGowan, Sister Mary Adrian Brennan, Sister Carmel Decker, Sister Jean Kevin Afderherd and Sister Marie Peter Hafey. These Dominican sisters were given a two-storey building on Mount Rose Avenue, and it is there in the converted Hibiscus Inn, in January 1957, that Aquinas College was born. Wanting to make the most impact on the society, the Sisters knew that they had to show Bahamians “how to fish”. So, as opposed to teaching alone, they began a teacher training programme for the local Bahamian nuns. In training Bahamians as educators, these visionary women ensured the sustainable development of quality education. Moreover, such an education would be available particularly to those Bahamians who previously had not had the opportunity to access such. From its inception, Aquinas College sought to provide the highest level of training to those whose finances or lack thereof would not have allowed them to have such an education. “Goodness, Discipline and Knowledge” were the guiding principles taught by Sister Jean Patricia and her colleagues.Today, some fifty-five years later, the same still holds true. What an interesting and wonderful journey the past fifty-five years have been, and while there are always bumps on any journey, stellar leadership has ensured safe passage thus far. In 1957, classes began under the leadership of Aquinas College’s founding principal, Sister Jean Patricia. By 1958, Aquinas College had a day enrollment of 150 students, and introduced evening classes in English, math and business studies. These courses were offered to adults who were preparing for the BJC (Bahamas Junior Certificate) and the Royal Society of Arts Examinations. With the establishment of the Bahamas Teachers Training College, the teacher training programme discontinued after some 10 years of quality instruction. Likewise, the Business evening programme discontinued in 1967, but a business oriented curriculum continued. Under the brief administration of Sister Marie Messing in 1965, an additional seven classrooms were built and enrollment soared to 450 students. In addition, math, science and Spanish became part of the curriculum. Students prepared either to pursue a general education course or BJC/GCE for the College entrance. From 1965-1970, Sister Clarita Marie Young, OP, served as Principal and was responsible for producing the school’s first yearbook, “The Torch”. Sister Clarita also instituted “Open House” night where students presented a programme for parents. Mr. Andrew Curry was appointed the first Bahamian Lay Principal in 1970. During his administration, Aquinas College received high acclaim in the arena of Music and Drama. Performances by Freddie Munnings Jr., Brian Christie, and Rose Richardson still hold fond memories in the minds of teachers and peers alike. Likewise, Mr. Jerry Harper was instrumental in establishing The Aquinas Aces “Power House Athletes”, Perry “Coloring” Thompson, John Bonamy, Margo Wring, Reggie Forbes, Perry and Arthur “Baldy” Seymour, Clifford Rahming and Ephraim Cargill elicited cheers of admiration for their athletic skills on the basketball court and softball field. Teachers such as Alfred Forbes, Chris Richardson, Leland Silverness, Mary Werning and Fr. Perna played an active role in the lives of each student. In 1978, Mr. Hugh Bullard served as Principal and was succeeded for a brief period by Sister Agatha Hunt. Mr. Vincent Ferguson has the distinction of being the longest – serving Principal having led the institution form 1978 – 1993. Under his tenure, the school’s enrollment rose to 750. In 1980, Bishop Leonard Jr. High School amalgamated with the Aquinas College. During this merger, the administrative team of Mr. Vincent Ferguson, James Burrows (Vice Principal) and Keith Thompson (Dean of Students) were a force to be reckoned with. Mr. Ferguson and Mr. Burrows were instrumental in establishing two computer labs and a computerized Reading Lab. During their era, the Senior Prefect System and formal School House System for Academics and Sports were established. From hence, all students of Aquinas College would be assigned to one of the following houses: Aquinas, Benedict, DePorres and Dominic. The School again began a rebirth of Cultural Arts, staging musicals such as “Grease”, “Sound of Music”, “The King and I”, “My Fair Lady” and “South Pacific”. Again students such as Delvin Major, Kayleasar Moss, Josephine Symonnette, Keino Cambridge, Terrance Morrison, Reginald Robinson, Patrice Darville, Kevan Knowles and Kathrine Wallace come to mind. In addition to the musical productions, a concert band and string orchestra came on stream. The school participated in and won several Ministry of Education competitions in Speech and Debates as well as the “It’s Academic” programme. Mr. Jeff Lloyd, Louis Chuck, Pia Farmer, Charmaine Wilson, Dianne Brandy, Margaret Bennett, Ms. Cy, Betty Keating, Shona Knowles, Marie Sairsighn-Psilinakis, Bernadette Ramsay-Johnson and Mr. J. Fadlin were some of the teachers who helped steer students through those years. Mrs. Elizabeth Miller was appointed Principal in 1993. Under her leadership, the administrative team of Mrs. Shona Moss-Knowles (Vice Principal) and Mr. Marcel T. Sherman (Dean of Students) brought a new energy and insight to the curriculum. Under this team the Six Day Cycle System was established. Now, all students are prepared to sit academic exams instead being assigned to particular streams (Business and Academics). Senior students have to write a minimum of five BGCSE’s from twelve possible exam subjects now offered in the revised curriculum. Other hallmarks of their leadership were the inclusion of technical and vocational subjects to the curriculum such as auto mechanics, electrical installation, cosmetology, clothing and textile and hospitality. This era also brought about the expansion of our music programme. The Aquinas College Concert and Marching Bands were formed under the talented and watchful eye of Mr. Jacob Mc Phee and Mrs. Shona Knowles. This group has brought much recognition to Aquinas through the international band and choir competitions in Orlando, FLA, Williamsburg, VA, New York, New York, New Orleans, LA, Atlanta, Georgia and on board Royal Caribbean Cruise Ship “Enhancement of the Seas” where the band and choir performed in Key West, Mexico and Belize. Mrs. Miller retired in August 2006 after 50 years of dedicated service to the Catholic Education System. As Aquinas College prepared to mark its 50th Anniversary in 2007, Mrs. Shona Moss-Knowles took over the leadership of this institution, having served 23 years as a veteran educator at Aquinas College. She was well-suited for the position having served thirteen years as Vice Principal. Her commitment to Catholic Education is unwavering and surely she will usher in many distinctive contributions as did her predecessors. The administrative team of Marcel T. Sherman (Vice Principal), Randol Dorsett (Dean of Students), Bernadette Ramsay-Johnson (Senior Mistress) and June Hutcheson (Guidance Counselor) has collectively served over 130 years in Catholic Education. Under the Knowles Administration, in 2007 the GPA for matriculation was increased from a 1.8 to a 2.0 and later to 2.3 in 2012. The PSAT Exams were replaced by the SAT Exams at the eleventh grade. As a result, every graduate would have had two opportunities to write the college entrance exam. In 2008, Aquinas made its presence felt academically as it was ranked in the top three high schools in BJC and the top five in the BGCSE in the country. In September 2009, Aquinas College began a new era in education. Relocating to its brand new location at its new state of the art campus on Gladstone Road was a seamless feat accomplished by Principal Knowles and her able team. As this move heralded a new and innovative beginning, teachers, parents, students, alumni and friends were invited to be a part of another glorious chapter in the life of this distinguished institution. Three years on the magnificent Aquinas College has catapulted to yet another academic level. 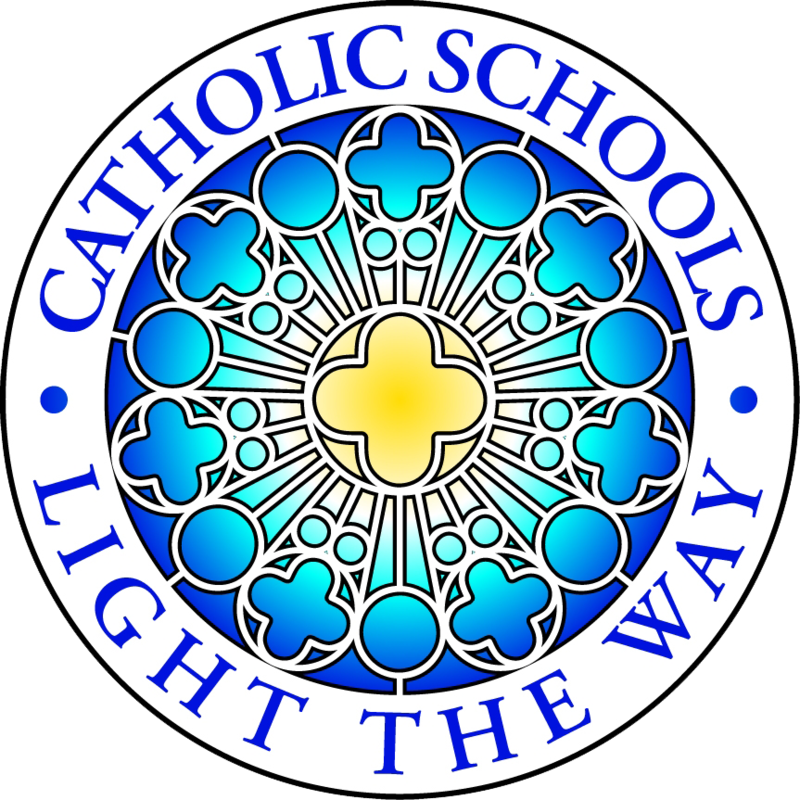 Being a passionate and zealot Catholic educator, in 2010, Mrs. Knowles introduced the academic accelerated stream at Eighth Grade. Students in Eighth through Eleventh Grades are encouraged to write the BJC and BGCSE Examinations early. Once students are successful at the national exams, preparations begin for Advanced Placement Examinations. In 2012 Aquinas College became a certified SAT and Advanced Placement Center and our students for the first time wrote the English and Calculus AP Examinations. It is our hope that in five years, Aquinas College students will be exposed to at least eight AP courses. Over the past six years, Aquinas has seen the growth of many more of its graduates seeking tertiary education. Many of them are also the recipients of national and international scholarships. The alumni of Aquinas College serve as a testament to its commitment to excellence. This guiding principle was forged in 1957 and it remains active at Aquinas College to date. One only has to examine the fields of education, religion, banking, administration, sports, music, drama and business to realize the contributions of these fine men and women have been far reaching. Graduates of Aquinas College, ensure that this legacy is recognized, celebrated and continued for generations yet unborn. Aquinas College continues to hold high the Torch of Truth! – VERITAS as Excellence is a Habit.